There’s improvement on Nanaimo’s Victoria Crescent with more security and events, but more is needed, says Kevan Shaw, president of the Victoria Crescent Association. “We’re going to have to keep on this because … if you don’t keep on it, it deteriorates and will go downhill and we were heading rapidly downhill especially in the Victoria Crescent neighbourhood,” said Shaw, who has noticed a turnaround but says there are still problems with panhandling and people begging in areas they shouldn’t and he’s still seeing unlawful behavior everywhere. A report from the City of Nanaimo earlier this year noted there are emerging issues in the community, most evident downtown, such as increased homeless population, public intoxication and substance use. Nanaimo council agreed to put $45,000 toward more security and an urban cleanup program, while the city also planned to install more needle drop boxes and come up with longer-term solutions to address safety and social issues downtown. 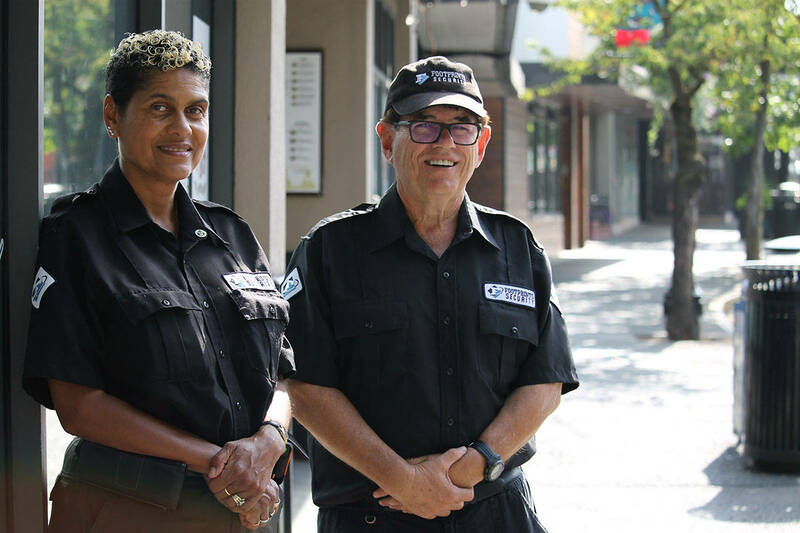 The Nanaimo Region John Howard Society has since taken on the contract for the cleanup program and two security guards patrol downtown. The city hasn’t decided what it will do about the downtown situation moving forward, but a report is expected to go to politicians this September. John Horn, the city’s social planner, says merchants, business owners and staff members are pleased by the provision of an additional security guard and he thinks they’d like to see it continued. The security guards put extra sets of eyes and ears on the street, said Rod Davidson, city manager of bylaw, regulation and security. A challenge for bylaw officers, he said, is that they seem to spend more time dealing with street people and less doing other daily tasks of enforcing bylaws. Bylaw’s priorities and manpower will be discussed through the city’s public safety committee, he said. As for improvements, Davidson said there are a number of items the city can look at but it’s going to have to be a prioritization of city funds. The ideas are expected to be in a report to council. Randy Humchitt, deputy executive director of Nanaimo Family Life Association, said his group joined the neighbourhood association in the interest of keeping staff and clients safe. “It’d be wonderful to have permanence in the security downtown and I think if there was neighbourhood ambassadors that could develop relationships with everybody that hangs out downtown it would probably go a long way to getting rid of fear or an us-versus-them kind of mentality and kind of bring more of a sense of community than a fear-based relationship,” he said.